Join us May 22 and bring your questions! Learn why BBB Standards represent nonprofit management practices that can be helpful to your organization. Get details about the 20 BBB Standards for Charity Accountability, how to meet them, and the BBB charity review process. Find out about recognition benefits for BBB Accredited Charities that join the BBB Charity Seal holder program. Executive Directors, COOs, CFOs, Development Officers, Program Managers, Charity or Philanthropy Consultants & Advisors, Board Members, and other nonprofit executives interested in learning about how the BBB Charity Accountability Program can help your organization thrive. 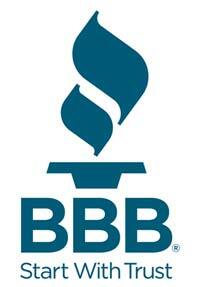 There is no cost to aprticipate in a BBB Charity Report, and no cost for BBB Accreditation. BBB Charity Seal Holder Program: Only BBB Accredited Charities are eligible to join the BBB Charity Seal Holder Program; this involves a Seal Holder agreement and licensing fee scaled to fundraising revenue. There is no cost to attend. Seating is limited; advance registration is required.